So, yesterday morning was the second time we did the inhaled Tobi. The night before, we did his first dose of Tobi, which seemed to run fine, and we had no problems. Well, at 5:00 the morning I go in and start his Albuterol and I run his vest. About halfway through his treatment, he says one of his ears is ringing. I think nothing of it, and start the Tobi after his Vest is done. A few minutes into the Tobi treatment, he starts crying and saying his left ear is ringing very loudly. I stop the treatment and email the Respiratory Therapist right away. The ringing apparently stopped, and we went on with our day, and I took the kids to school. A few hours later, the therapist calls and says the doctor wants us to stop using the Tobi immediately and to schedule a hearing test ASAP with the audiology department. We manage to get an appointment in the afternoon that day. We take Azer out of school and drive all the way to the hospital (I'm telling you, we need to start paying rent there, if we are going to be there once a week). 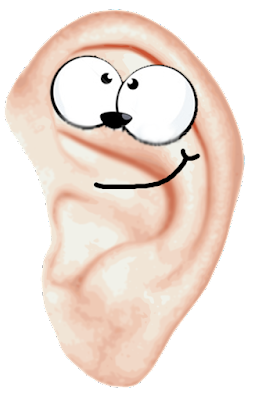 They tested his inner ear, middle ear, and outer ear, and everything came back perfectly normal. There were no signs of any hearing damage. So, today we are waiting to hear back from the doctor to find out if they want us to continue the Tobi, or if they want to put us on a different medication to control the Pseudomonas. There is a medication that just finished it's trial runs, and it's being approved by the FDA right now. Kind of cool that it's being approved right around the time when we might need it. Well, I'll let ya'll know what happens!